Our Lincoln Town Cars offer top of the line luxury and comfort to spare. Enjoy complimentary bottled water during your private ride. 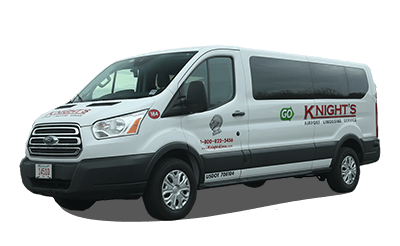 Up to 10 passengers can ride in one of our very comfortable, late model vans. Appointed with bench style seating and lots of room for luggage. Up to 13 passengers can enjoy the luxury of our Executive Van Service. With extra headroom and an easy entrance to the plush interior of this van, you can relax with individual leather seating and a center aisle. 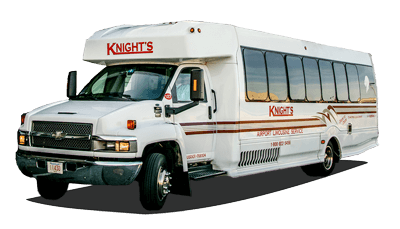 Up to 29 passengers can ride together in one of our minibuses. Whether it’s a ride to or from the airport or a night on the town, you will be very comfortable with airplane type of seating and a middle aisle for the ease of boarding. What a great way to get everyone together for a special event!